Parking Assistant, Roof rails, Auto-Dimming Interior & Exterior Mirrors, Cold Weather Package, Comfort Access Keyless Entry, Dynamic Damper Control, Fully Loaded, harman/kardon® Logic 7® Digital Surround, Heated Front Seats, LED Fog Lights, LED Headlights, MINI Connected XL, MINI Wired Package, On-Board Navigation, Panoramic Moonroof, Premium Package, Rear Park Distance Control, Rear-View Camera, Sport Package, Technology Package, Traffic Information. CARFAX One-Owner. Clean CARFAX. Certified. MINI Certified Pre-Owned Details:* Vehicle History* Roadside Assistance* Warranty Deductible: $0* 1 year/Unlimited miles beginning after new car warranty expires or from certified purchase date* Multipoint Point Inspection* Transferable WarrantyDigital Blue Metallic 2017 MINI Cooper S Clubman AWD 8-Speed Automatic Steptronic 2.0L I4 16VContact Daniels BMW directly or send a request via email to schedule your test drive today! Daniels BMW is a 12-time winner of the Center of Excellence award, making it the most celebrated BMW dealership in the nation. New Price! 1.5L I3 Hybrid Turbocharged DOHC 12V ULEV II. CARFAX One-Owner. Clean CARFAX. Certified. MINI Certified Pre-Owned Details:* Roadside Assistance* Multipoint Point Inspection* 1 year/Unlimited miles beginning after new car warranty expires or from certified purchase date* Vehicle History* Warranty Deductible: $0* Transferable WarrantyMelting Silver Metallic 2019 MINI Cooper S E Countryman AWD Steptronic Automatic 1.5L I3 Hybrid Turbocharged DOHC 12V ULEV IIRecent Arrival!Contact MINI of Allentown directly or send a request via email to schedule your test drive today! 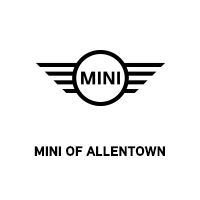 MINI of Allentown was recognized for 6 consecutive years as the Dealer of the Year, PA DealerRater winner, and Dealer of the Year USA for 2019, making it the most celebrated MINI dealership in the nation! Clean CARFAX. 2019 MINI Cooper Countryman AWD 6-Speed I3Recent Arrival! Signature Trim, Steptronic Automatic, Gorgeous Chesterfield Leather in British Oak, Signature Upholstery Package Sport Seats! Rear Camera, Sirius Satellite Radio and Panoramic Sunroof will lead you to many pleasurable miles of motoring!Contact MINI of Allentown directly or send a request via email to schedule your test drive today! MINI of Allentown was recognized for 6 consecutive years as the Dealer of the Year, PA DealerRater winner, and Dealer of the Year USA for 2019, making it the most celebrated MINI dealership in the nation! AWD. Clean CARFAX. Melting Silver Metallic 2019 MINI Cooper S Countryman All4 AWD 6-Speed Manual 2.0L I4 DOHC 16VSignature Trim, Sirius Radio, Rear camera, Panoramic Rook, and the thrill of a Manual Transmission will provide many years of Motoring excitement!Recent Arrival! Odometer is 2701 miles below market average!Contact MINI of Allentown directly or send a request via email to schedule your test drive today! MINI of Allentown was recognized for 6 consecutive years as the Dealer of the Year, PA DealerRater winner, and Dealer of the Year USA for 2019, making it the most celebrated MINI dealership in the nation! Active Driving Assistant, Auto-Dimming Interior & Exterior Mirrors, Automatic Climate Control, Chrome Line Exterior, Comfort Access Keyless Entry, Connected Media System w/6.5 Touchscreen, Dynamic Damper Control, harman/kardon® Logic 7® Digital Surround, Heated Front Seats, LED Fog Lights, LED Headlights w/Cornering Lights, MINI Driving Modes, Panoramic Moonroof, Piano Black Interior Surface, Power Front Seats, Power-Folding Mirrors, Premium Package, Signature Trim, SiriusXM Satellite Radio, Wheels: 17 x 7.5 Net Spoke Black Alloy. Clean CARFAX. Certified. MINI Certified Pre-Owned Details:* 1 year/Unlimited miles beginning after new car warranty expires or from certified purchase date* Warranty Deductible: $0* Transferable Warranty* Vehicle History* Multipoint Point Inspection* Roadside AssistanceDigital Blue Metallic 2019 MINI Cooper S Clubman AWD 8-Speed Automatic Steptronic 2.0L I4 16VContact Daniels BMW directly or send a request via email to schedule your test drive today! Daniels BMW is a 12-time winner of the Center of Excellence award, making it the most celebrated BMW dealership in the nation. Auto-Dimming Interior & Exterior Mirrors, Center Armrest, Cold Weather Package, Dynamic Damper Control, Enhanced USB & Bluetooth, harman/kardon® Logic 7® Digital Surround, Heated Front Seats, LED Fog Lights, LED Headlights, Media Package, MINI 6.5 Visual Boost Screen, Power-Folding Exterior Mirrors, Sport Package, Wheels: 17 x 7 Tentacle Spoke Silver, White Turn-Signal Lights. CARFAX One-Owner. Clean CARFAX. Certified. MINI Certified Pre-Owned Details:* 1 year/Unlimited miles beginning after new car warranty expires or from certified purchase date* Multipoint Point Inspection* Roadside Assistance* Warranty Deductible: $0* Transferable Warranty* Vehicle HistoryPepper White 2016 MINI Cooper S FWD 6-Speed Automatic 2.0L 16V TwinPower TurboAwards:* ALG Residual Value AwardsContact Daniels BMW directly or send a request via email to schedule your test drive today! Daniels BMW is a 12-time winner of the Center of Excellence award, making it the most celebrated BMW dealership in the nation. Auto-Dimming Interior & Exterior Mirrors, Cold Weather Package, Comfort Access Keyless Entry, Dynamic Damper Control, Fully Loaded, harman/kardon® Logic 7® Digital Surround, Heated Front Seats, LED Fog Lights, LED Headlights, MINI Connected XL, MINI Wired Package, On-Board Navigation, Panoramic Moonroof, Premium Package, Rear Park Distance Control, Rear-View Camera, Sport Package, Technology Package, Traffic Information. CARFAX One-Owner. Clean CARFAX. Certified. MINI Certified Pre-Owned Details:* Warranty Deductible: $0* Multipoint Point Inspection* Transferable Warranty* Roadside Assistance* 1 year/Unlimited miles beginning after new car warranty expires or from certified purchase date* Vehicle HistoryMINI Yours Lapisluxury Blue 2017 MINI Cooper S Clubman AWD 8-Speed Automatic Steptronic 2.0L I4 16VContact Daniels BMW directly or send a request via email to schedule your test drive today! Daniels BMW is a 12-time winner of the Center of Excellence award, making it the most celebrated BMW dealership in the nation. Active Driving Assistant, Automatic Climate Control, Comfort Access Keyless Entry, Heated Front Seats, JCW Leather Steering Wheel, Panoramic Moonroof, Piano Black Interior Surface, Signature Line Package, Wheels: 17 x 7.0 Tentacle Spoke Silver Alloy. CARFAX One-Owner. Clean CARFAX. Certified. MINI Certified Pre-Owned Details:* Warranty Deductible: $0* Roadside Assistance* Multipoint Point Inspection* 1 year/Unlimited miles beginning after new car warranty expires or from certified purchase date* Vehicle History* Transferable WarrantyChili Red 2019 MINI Cooper S FWD 6-Speed Automatic 2.0L 16V TwinPower TurboContact Daniels BMW directly or send a request via email to schedule your test drive today! Daniels BMW is a 12-time winner of the Center of Excellence award, making it the most celebrated BMW dealership in the nation. New Price! AWD, Active Driving Assistant, Advanced Real-Time Traffic Information, Apple CarPlay Compatibility, Automatic Climate Control, Comfort Access Keyless Entry, Connected Media System w/6.5 Touchscreen, Dynamic Damper Control, Heated Front Seats, JCW Leather Steering Wheel, MINI Assist eCall, MINI Connected XL, MINI Driving Modes, MINI Navigation, MINI TeleServices, Navigation System, Panoramic Moonroof, Piano Black Interior Surface, Remote Services, Signature Trim, Touchscreen Navigation Package, Wireless Charging & Enhanced Bluetooth. CARFAX One-Owner. Clean CARFAX. Certified. MINI Certified Pre-Owned Details:* Roadside Assistance* Multipoint Point Inspection* Vehicle History* Warranty Deductible: $0* 1 year/Unlimited miles beginning after new car warranty expires or from certified purchase date* Transferable WarrantyMelting Silver Metallic 2019 MINI Cooper S Countryman AWD Automatic 2.0L I4 DOHC 16VContact Daniels BMW directly or send a request via email to schedule your test drive today! Daniels BMW is a 12-time winner of the Center of Excellence award, making it the most celebrated BMW dealership in the nation.